Every so often I realize that I do have a professional opinion about body, hair, and makeup products. Obviously everyone has different hair textures, skin types/sensitivities, tones, and preferences, but these are my favorite products and/or brands that I use daily right now. I recently became concerned about the ingredients in my body lotion. The ‘largest organ’ really does soak up A LOT of chemicals and additives so it started to make me worry when I saw that even organic lotions had lots of ingredients I could not pronounce or recognize. My first solution – baby oil! For the most part it is just mineral oil – which seriously has more uses than you could imagine. Some brands have fragrance (that powder smell) other have rose/lavender or no smell at all. You can buy organic, but that can be 8x the price. It’s super moisturizing and if you use it after you shave it helps with any irritation. Second (here comes a RANT) – I’ve become really interested in soap making. I haven’t taken the plunge (do you see how many damn hobbies I already have? calm down! ), but I have looked at many ‘starter’ or basic soap recipes. The only thing that bothers me is the use of Lye. 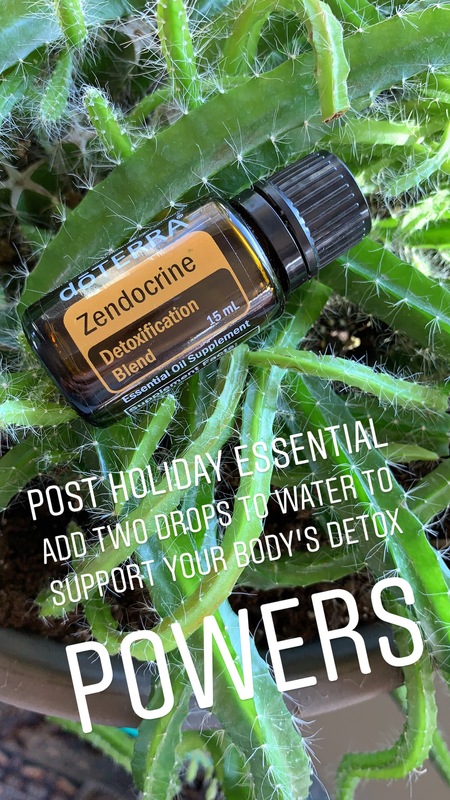 I know for a long long long long time we as humans have used Lye as as a substitute for certain sodium and potassium hydroxides safely to change the pH of things. However, when I was taught about relaxers it always stuck that lye was used in the relaxing process to change the chemical structure of the hair. I understand that used safely lye is completely fine. BUT the worry wart in me just can’t let that go. Anyone who has ever relaxed hair knows how scary it is (the speed, texture, hair integrity are all high risk factors of ruining someone’s hair). To me lye is unnecessary and luckily there are a lot of people who don’t want to deal with it either since it can be unsafe to store with pets/kids. So lye-free soap is in the works for me…. and I kind of want to make soap with loose tea in it like the boys at T-we Tea do. 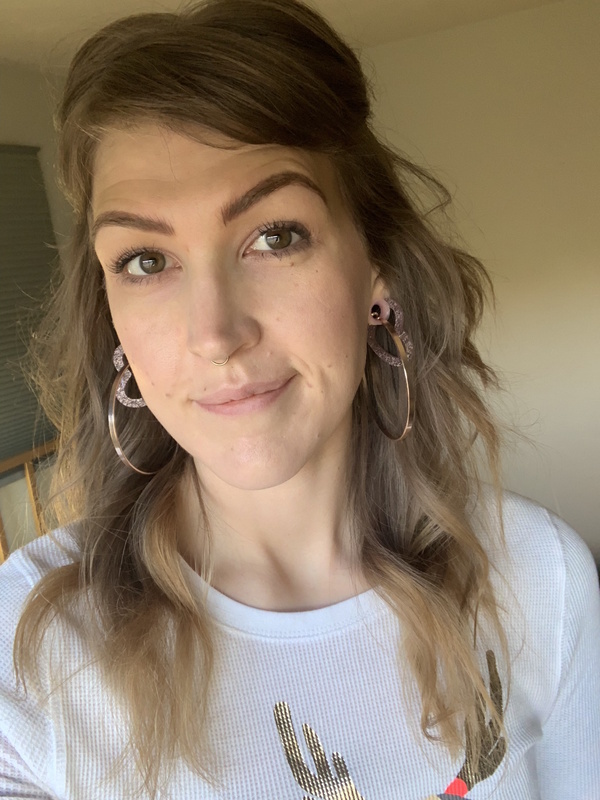 I have been part of the Aveda ‘cult’ for five years now (time flies) and I still enjoy their products, but honestly in the humidity here in Chicago, the products are not working for me. A fistful of Glossing Straightner starts out as great for my hair, but the first humid breeze and I have frizzy, poofy hair. I was recommended a new line and I’m loving it for it’s anti-humid hold and Rx therapy. Alterna is great at giving immense therapy to the hair (I’m super color treated at this point) and it just leaves the hair so soft and not frizzy. 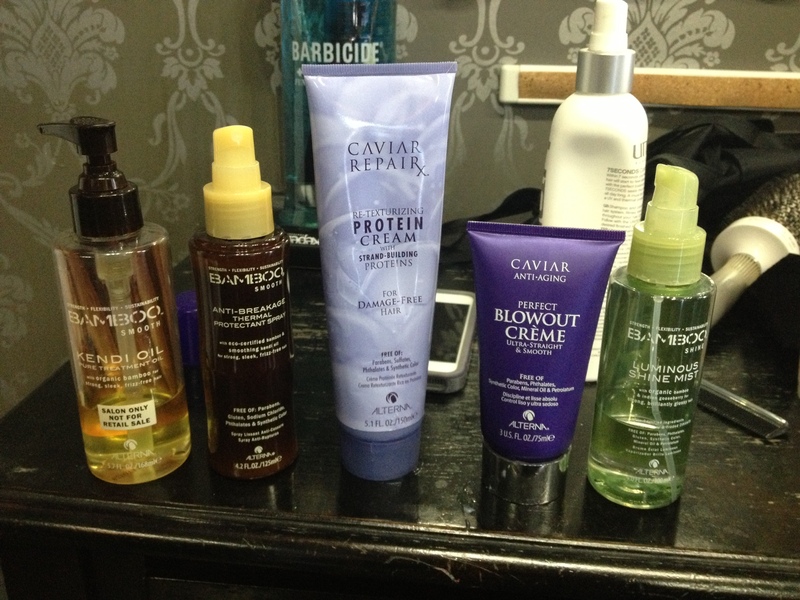 The Protein Creme and Blowout Creme are fabulous. Also the Bamboo Line by Alterna is great for smoothing out that fussy texture I get. Don’t get me wrong I’m still an Aveda Fanboy, and Control Force, Pure Abundance Hair Potion, and Brilliant Humectant are always my finishers. 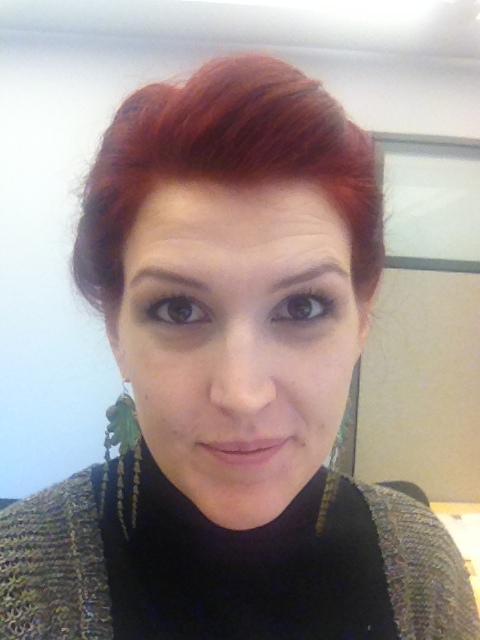 I always use Aveda Foundation – it smells like roses and actually covers really nicely. I find it very similar to MAC Foundation in my opinion for my extremely fair skin. It covers my uneven spots and the little dark circles I always have under my eyes from allergies (thanks Ugly Tribe!). 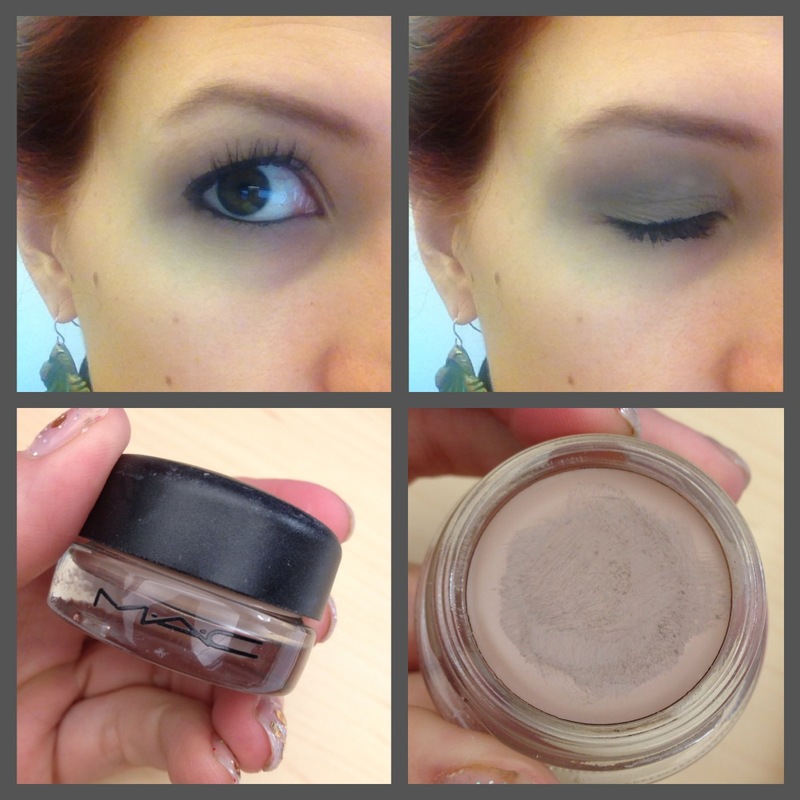 Eye shadow is a mix of Urban Decay and MAC. I am however IN LOVE with the new MAC Pro Longwear Paint Pot. It goes on smooth, stays set ALL day long, and because of the natural contours on your eye it actually looks like you’ve added one if not two additional colors for contour. I just love it. I’ve received so many compliments on it since I’ve started using it also. For lipstick – in my opinion as long as you have a good pencil liner you can use whatever brand you want as long as you know when to reapply and are prepared to add a gloss. I really love the Aveda lip liner that is ‘clear’ so you can use it for any shade you want. Would any readers like any tutorials on hair/makeup tricks or tips? Let me know I wouldn’t mind doing a few how-tos if they are desired! If you’re into natural-ish stuff, do check out a product called Waxelene. It’s like Vaseline/petroleum jelly, but it’s 100% natural, and not made with any petroleum by-products. They sell it at Bed Bath & Beyond and some Whole Foods, and online. Thanks for stopping by Maiden Aunt, too! Thanks I will check them out – I love new products! Love this! It’s so hard to find even somewhat natural make up or beauty care products. Great suggestions. Well since im a pale red head you can be sure ill give you some color pointers! Thanks for reading! Really? Wow I thought being an Estee Lauder company that they didnt practice like that- well I guess if thats true ill use this reserve and support another company. Oh man, no. Estee Lauder is super into animal testing. It’s like, their favorite. Urban Decay refused to participate, thank god. The Balm, Urban Decay, and … one other thing I’m not remembering right now, are all safe for fuzzballs, do not use carcinogens/cheap filler (i.e. TALC ugh) and as a result, offer silky-smooth application and really great coverage. I did like, days of research on all this (and do every year) because I’m super sensitive to talc, and try to be a conscious consumer, but it is hard as hell with makeup. People are tricky. And natural/animal-friendly makeup is ofter very sheer and cute but not great for makeup art. The above brands are the best I’ve found for (really) great coverage and fancy looks while remaining ethical. There are also plenty of vegan brands I haven’t tried out yet that make the super bright colors. One of the issues is that anytime a brand is offered expansion to China, they generally go for it, because $$$. But China requires animal testing for all beauty products sold there, which means the cosmetic companies have to sell their morals to make that big money. It’s a bummer. Plus side: Sephora posts all their makeup ingredients online, so you can check for talc, and a quick googling will tell you which companies are assholes. Often, you can get the stuff cheaper on amazon or whatever after you know what’s in it, which is a bonus. Hi there! Thanks for stopping by my blog! I’ve been reading around here and I really appreciate the sense of humor with which you write. I wish you well with your endeavors (and I can’t wait to see how your christmas tree project comes out). Just a couple of notes for you, as someone who is, like me, deeply concerned with the origins and contents of what goes on her skin. First, baby oil is usually labeled as ‘mineral oil’ and as a trade name it is used to refer to a mineral oil that has been perfumed, usually with a powder scent, as you noted. Some (most) ‘mineral’ oil, however, is actually formed from distillates produced from the production of petroleum, making it much more like Vaseline. If you see baby oil listed as “organic”, usually this is made of argan oil, which is at least a vegetable product rather than being a byproduct of the petroleum industry, but the trees are endangered in much of their habitat. Of course, you can do what folks have done for centuries and just use olive oil for a source that is not petroleum based and is produced all over the world! Second, all soap has lye, that’s part of the definition of soap. Lye isn’t a substitute for sodium or potassium hydroxide, it IS sodium or potassium hydroxide; lye (NaOH or KOH) is simply the common name for these two chemicals. Those “no lye” melt and pour soap bases you cite refer to above do use lye to produce their bases (lye is mixed with a “fatty acid” – a vegetable or animal fat – and is allowed to go through the chemical reaction called “saponification” that results in soap. They just don’t require that you add more lye to the mix when you melt it down for your own purposes. If you don’t use lye in some form, the result is a detergent, not soap, and if you check the melt and pour bases, those who are reporting their product legally will list the saponification agent, which is (for bar soap) typically sodium hydroxide or, in other words, lye. Lye is dangerous and does have to be used carefully. It releases a toxic gas when initially mixed with water that needs to be properly vented, and lye dissolved in water can cause a nasty chemical burn. It’s used in a lot of drain cleaners because it can react with organic material and dissolve it so that it will rinse away and leave the pipe clean, but it’s caustic and must be used with great care. As a consumer, though, none of the lye in soap is dangerous to you. Modern chemistry is such that soapmakers can perfectly calibrate how much lye they need for a particular oil or fat, so that no lye remains after saponification, and many (like myself) include a bit more oil than is needed for the reaction so that the resulting soap has extra moisturizing properties (a process called “superfatting”). You’ve now inspired a future blog post for my site, and I’m considering offering a melt and pour soap in my shop for those folks who might like to try ‘rebatching’ soap for themselves, so thanks for that! Thanks for reading though I value your response and I’m glad I could inspire you a little! 🙂 I’ll keep watching your blog for that rebatching post!